Welcome to the Santa Clara Chamber of Commerce & Convention-Visitor's Bureau, your business and visitor resource for Silicon Valley Central. 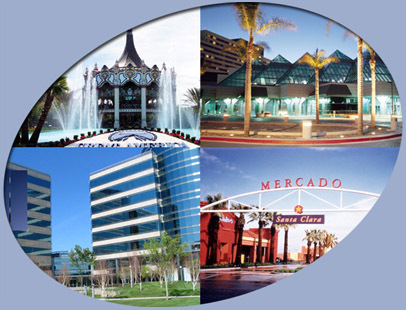 Located just north of San Jose, Santa Clara is a culturally and economically diverse city. Our businesses range from small owner operated businesses to large manufacturing and semiconductor organizations. During your visit to our website, we encourage you to link to our member businesses through their listing the Business Directory section. Our more than 575 member businesses are waiting to serve you.